Yeah, that’s the thought of the day. Ok, fine… the real thought is about dedication. I can promise you Lindsey wasn’t able to just walk in the door of her CrossFit gym on day one and complete this movement. In fact, I’d like to guess that MOST CrossFitters aren’t able to do what she just did. Not only a single strict muscle-up, but THREE in a row! Dedication comes in many ways in regards to CrossFit. Like I say, CrossFit can be more than just 1 hour of working out a few times a week. How important is it for you to continually improve? Today, CrossFit Lakewood went after the 4th workout of the 2011 CrossFit Games Open. With a 10 minute cap on the workout, that means a lot of people out there wouldn’t even get close to completing one round. This one requires a LARGE amount of work to be done in not a lot of time, so the goal is basically to get through as much as you can. The pace everyone kept throughout all 60 Burpees was really impressive! HQ released the next workout of the 2011 CrossFit Games Open, and a lot of people in the CrossFit Community let out a collective groan. For those of you who may be wondering what a Muscle-Up is, it’s a movement done primarily on gymnastics rings that consists of a pull-up transitioning into a dip! The video here will show you exactly what it looks like and give some pointers! Achieving the Muscle-up from Patrick Cummings on Vimeo. In my opinion, it’s going to be a lot like the last workout where some people simply won’t be able to complete parts of it. During the first two workouts, most people were able to handle the weight and reps in some form or another, so the differences in scores were simply how many rounds people were able to complete. 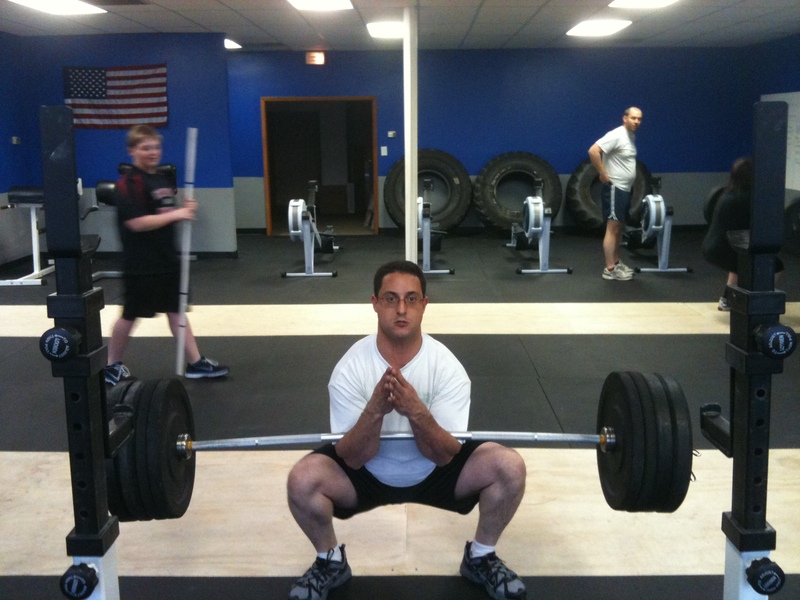 Last week, some male athletes simply couldn’t get 165 pounds into a Squat Clean and Jerk. This week’s biggest challenges will fall in one of two categories; either 120 pounds for men (or 90 pounds for women) will be too heavy for some athletes to Overhead Squat 30 times, or they’ll get through them and get stuck on the Muscle-Ups. The video below is from HQ showing the official range of motion requirements for the movements.